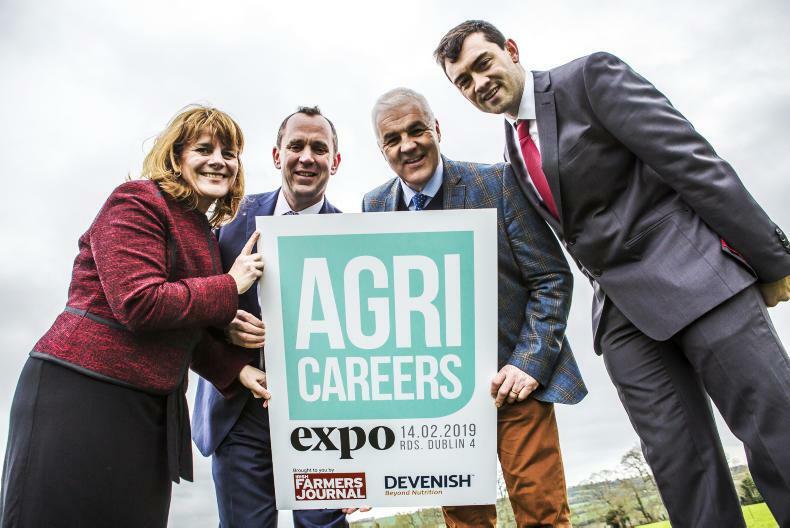 Devenish, official partners with Irish Farmers Journal in hosting the Agri Careers Expo, has 11 graduate positions, both national and international, to fill at the event. As more jobs continue to be confirmed for the Agri Careers Expo, Devenish have become the latest to offer graduate opportunities. Having announced the opening of their renowned graduate programme in the last number of weeks, the Belfast-headquartered agri nutrition company confirmed that 11 graduate positions will be recruited across various parts of the business. The jobs will be in the business services, commercial, operations, technical and nutrition side of the organisation. Speaking to the Irish Farmers Journal, the company said it is investing in future talent through a number of initiatives, one aimed at training graduates and the other at supporting PhD students in their research. “Devenish is built on innovation and by helping identify and nurture the careers of talented graduates and PhD students, we are not only enriching their future careers, but also investing in the future of our business,” group HR director of the company Gillian McAuley said. The Devenish professional graduate programme will be the company’s largest ever intake of graduates. The closing date for the programme is 22 February. Graduates will spend time working in several Devenish departments, focusing on their area of specialism, receiving bespoke training and development and one-on-one mentoring. The programme will operate in Devenish’s sites across Northern Ireland and Great Britain, including A-One Feed Supplements in Yorkshire and Hi-Peak Organic Feeds in Sheffield. Graduates may also be given opportunities to gain international experience at the company’s other sites, including Turkey, Africa and the US. After two years, successful candidates will be offered a permanent role within the company. In addition, Devenish will soon launch a doctorate bursary programme in partnership with Queen’s University Belfast (QUB). The programme will see Devenish support a number of PhD students each year, providing a year-long placement within the company over the course of their research. For further information and to find out how to apply, come and meet the company at the Agri Careers Expo or visit the website www.devenish.com/graduate. Significant growth projections in the company over the coming years will see a national and international recruitment drive from the company. its presence at the event on 14 February will be desirable for those looking to enter the sector.